Over the last two weeks, Marriott has been running a special promotion exclusively for Head for Points readers. For bookings made by tonight (Tuesday), you will get 10,000 bonus points when booking a two night or longer weekend stay – which must include a Thursday night or a Monday night – at select hotels in Amsterdam, Barcelona, Florence, Geneva, London, Milan, Nice, Paris, Rome, Vienna or Zurich. We would value 10,000 bonus points at £50+ so this is a generous rebate, especially as you receive all of your standard and promotional points too. Our original article on the deal is here. One of the more obscure ways of getting from London to New York is on Air India. The airline flies the route three times per week as a continuation of a flight from Ahmedabad to Heathrow. You could redeem miles for this via any Star Alliance programme. 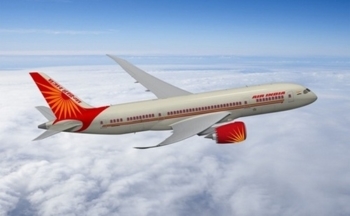 Air India’s Heathrow to New York service will end on 16th November. The airline will use the landing slots to launch a new service to Bangalore, starting on 17th November. The existing Delhi and Mumbai services from Heathrow will continue as usual. Dubai International Airport is undertaking another major runway maintenance project next Spring which will involve closing one of runways entirely. Many airlines, including BA, are having their slots reduced temporarily. 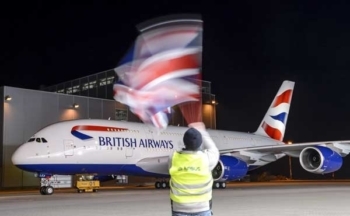 To cover this, British Airways will be running an A380 to Dubai between 16th April and 4th May 2019 on the 12.55 service, replacing a Boeing 777 service. SPG cannot yet attach TP AFAIK but happy to be corrected as it’s weeks since I booked. I wanted W Leicester Square but no joy. Subsequently got them to attach an old Cat 7 to County Hall despite the certificate now only being supposedly worth category 5. Are these certificates getting converted to new certificates at time of bookin? I don’t know whether to shut up, show up and hope for the best or cancel the reservation and use on a cat 5 hotel I don’t need to worry about. OT – See Curve Instagram. Suggestion AMEX linkage may return “soon”…. NEWSFLASH – QATAR AIRWAYS WILL BE LEAVING ONEWORLD IN MID-2019. so get your cheap tier points and silver status now while it lasts people! Thought this sounded just like a threat not actually leaving at this point. I thought they were only threatening to do this? Where have you seen it confirmed? This has been suggested before. Any swift exit from Oneworld by Qatar would not be too bad for UK collectors/frequent fliers, as there is a deep and deepening partnership between Qatar and BA which I’m certain will continue. Have just had an email from Virgin, they’ve increased reward availability and reduced the miles needed by 25%, not sure if it all classes and seems it’s from London only to New York and Florida book by end October. OT: Is there an equivalent to BA Redemption Finder for other airlines that take Avios as a currency? If not, what’s the best way to search for availability? For transparency, I am looking for availability on a Cathay Pacific flight from Hong Kong to Hanoi (and will also be interested in other Avios reward flights around Asia, as we are doing a 3-month trip!). The Qantas website may be useful to you: it shows CX flights and will show you about a month at a time, but you may have to join the programme.